Have you always wanted to own a Land Rover vehicle but never thought you could afford it? 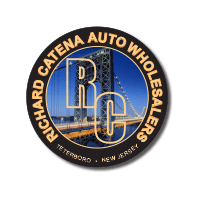 Here at Richard Catena Auto Wholesalers we’re proud to offer a terrific selection of gently used Land Rover models, all for the most competitive prices in the area. Owning a Land Rover SUV immediately puts you into a class of your own, with distinctively iconic styling, elegance, and performance unlike any other vehicle on the road. Whether you’re in need of a family friendly SUV, an off road adventurer, or you want to enjoy the height of luxury, with our selection of used Land Rover models, we’re confident that we have a model that’s right for you! Owning a Land Rover SUV offers many advantages to both drivers and their passengers. Regardless of which model you choose, you’ll be rewarded with elegant comfort, state of the art features, and a wonderfully capable driving performance. We’re proud to be able to offer our customers here in Teterboro and those nearby in Newark, North Bergen, NJ; Hackensack, and Passaic a terrific assortment of Land Rover models to choose from. With such a large assortment of models, styles, and model years, you can find a Land Rover from last year or one from decades ago, making it easy for everyone to find the model that’s right for them! If you’re interested in learning more about our terrific selection of used Land Rover models, we welcome you to join us here at Richard Catena Auto Wholesalers to view our entire selection of used Land Rover models in person and take the model of your choosing out for a test drive today!